The game lasted barely past it's first birthday (October 2010 was when it started), with the plug being pulled on February 1st 12:01 AM 2012. The Neo-Nexus Force, pilots, droids, and officers. 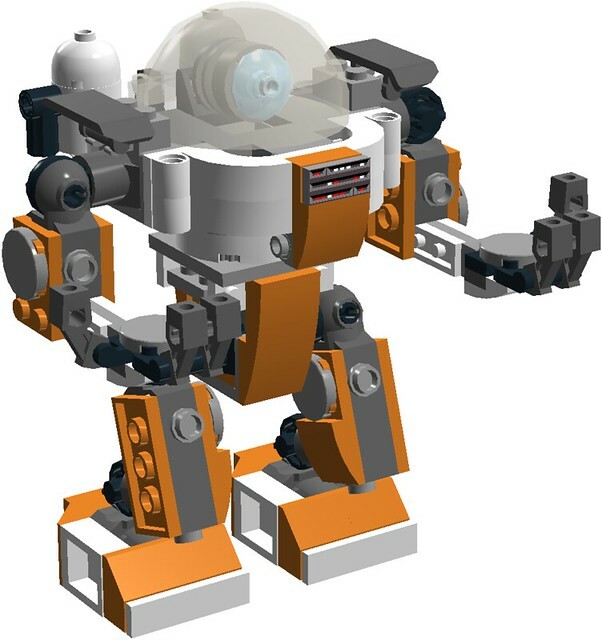 The NIFT-E robot was designed in 2015 to compliment the thousands of Sentry (set 4416) series robots produced in 2006 by the X-POD corporation for the original Nexus Force founders. 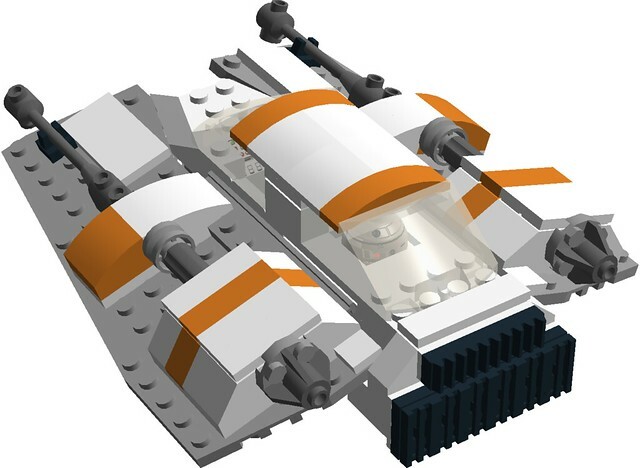 Thirty-four of these newer robots were produced in 2018 as a test batch, called the Nexus Iron Friendly Teammate - Engineer class (NIFT-E) for use as spaceship ground-crew and heavy engineering duties, including fueling and heavy duty maintenance, computer updating, and guiding ships into landing zones. They are used alongside human counterparts who work on the harder to reach areas of a ship's engine, and on life support systems. Each human master mechanic (of which every base has at least two or three of them, plus several apprentices) is assigned an NIFT-E counterpart, in which they are equal partners working towards the same goal: keeping the ships flying, the base humming with life, and repair bay as empty as possible in case of emergencies. 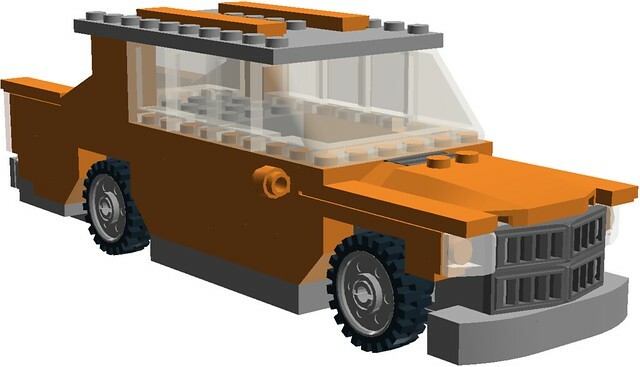 I copied this back in 2012 from a desktop download from the old LEGO Universe game. It was carefully cut out and switched to gray scale to save ink. 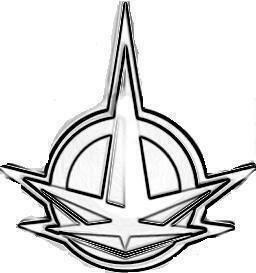 It is the logo of the Nexus Force. The Nexus force landed on an ice world named DY-17, (this was soon to be renamed Ice Station Destiny) in a bit of desperation, as the Maelstrom had damaged their escape cruiser, the Bright Hope, to the point of near hyper-drive core failure. The ships sensors located no technology on the surface, and not many life forms, but a lot of geothermal activity in the form of large heat/steam vents from the core to the surface, which could be used for emergency power. The ship landed, and soon the base camp for the crew of the Bright Hope was set up. It was then discovered the planet had many mineral deposits that happen to be compatible with the metal in the Hyper-drive cooling system. 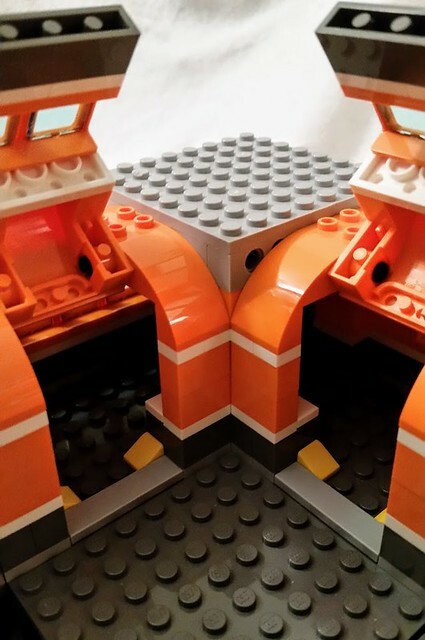 So, the minerals began to be mined, and pretty soon the crew had a good operation going that was almost self-sufficient and very eco-friendly. A vote was taken, and the crew chose to stay on the ice world they re-named Ice Station Destiny, as the planet had supplied all of their wants and needs. 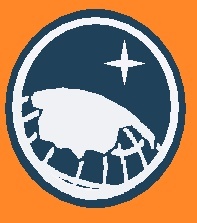 The logo was repainted to show the original Nexus logo as a distant star, signifying the journey taken by the Bright Hope to their new home world, which was symbolized by the ice-covered world on the logo. The Bright Hope and crew were eventually discovered two years after their landing on Ice Station Destiny by the Norstas of the nearby world of Beta Polaris. Bob formed a friendship with this like-minded race, which eventually became an Alliance between the two forces, and the rest is history. 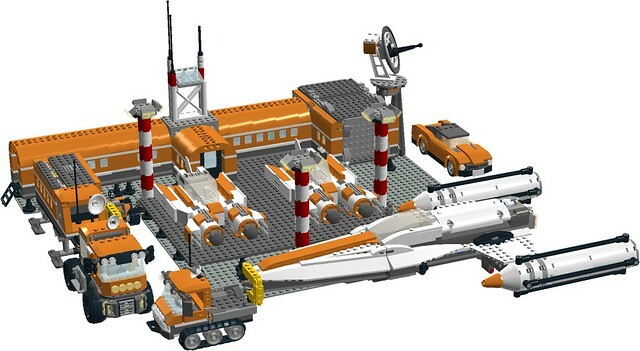 This moon base-like space base model was inspired by set 60036 (Arctic Base Camp), with light-poles from set 60062 (Arctic Icebreaker) and a sensor array from from set 60111. 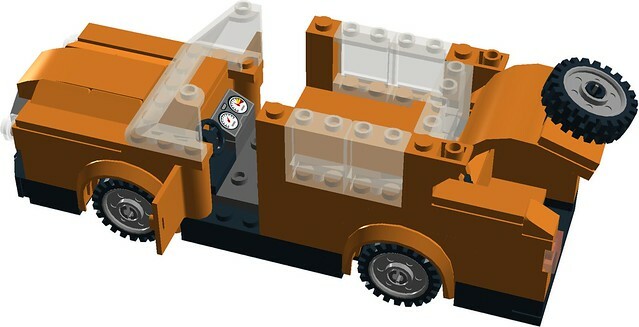 (Fire Utility Truck) The base consists of six separate, interchangeable, modular sections, all of which have opening roof / wall sections for ease of access. The base consists of six separate, interchangeable, modular sections. 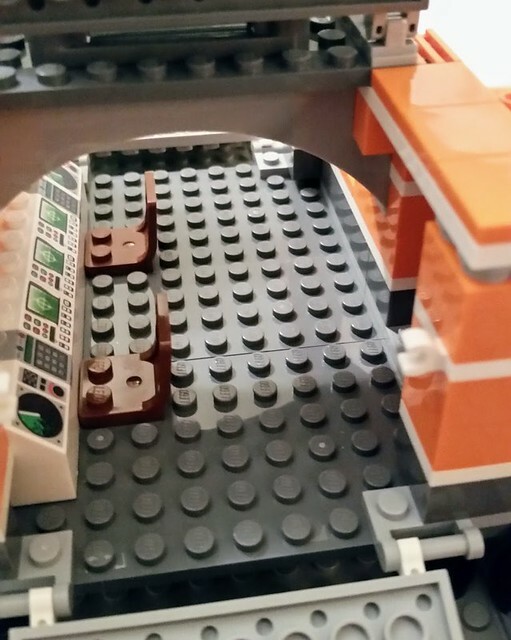 These include: computer command center, hallway turn, laboratory, hallway with control tower, straight hallway with landing pad, and finally the break room. Each section has opening roof hatches to get at the inside details. These computers analyze rock samples looking for fuel traces to be mined. This module leads outside to the base's elevated landing pad. This hallway is empty for now, but will be filled later. The brain of the base: the computer control room. 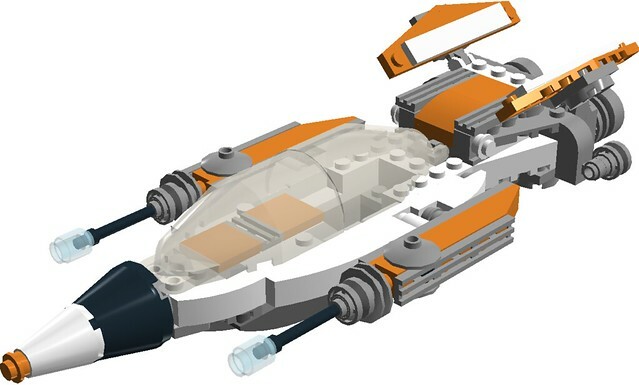 This ship was originally set 70816, Benny's spaceship (x3), with the Unkiitty seat and radar dish removed in favor of a skylight and laser gun turret instead. The sliding wings were redesigned to be stationary and thus provide space under the turret for commander Bob. The ship also has separate passageways for crew to walk so they don't have to go outside to go to Bob, engineering, or the bridge. 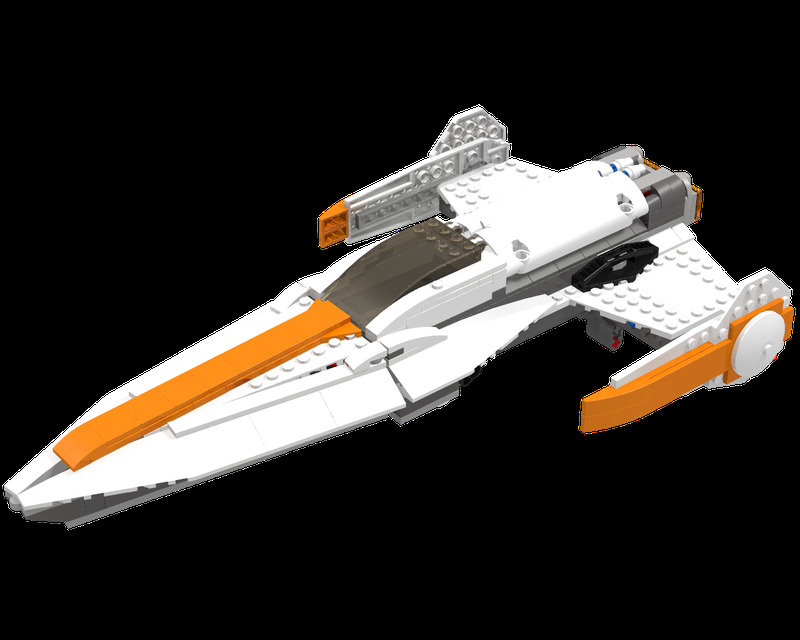 More recently, I combined the ship with a more elongated nose taken from the 2015 DC Comics set 76028 (Darksied Invasion). 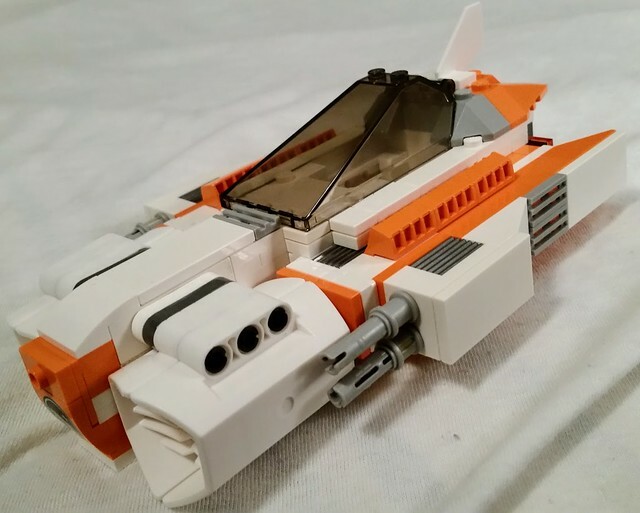 I was inspired to build this model by this cool ship by Oran Cruzen as seen here. The ship has three areas for up to eight crew to be placed, with passageways for the figures to "walk" from section to section. 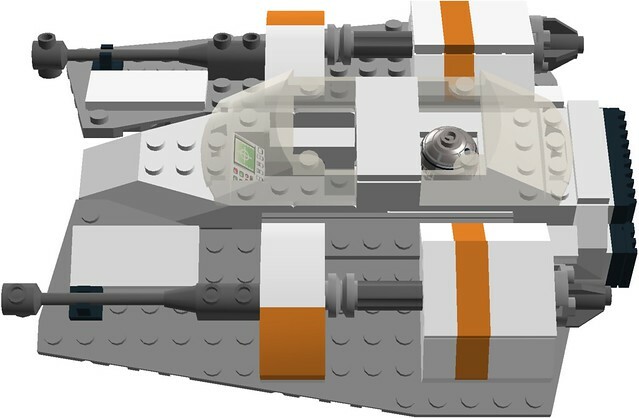 The rear of the ship has three engines and a rotating, elevating laser turret above. 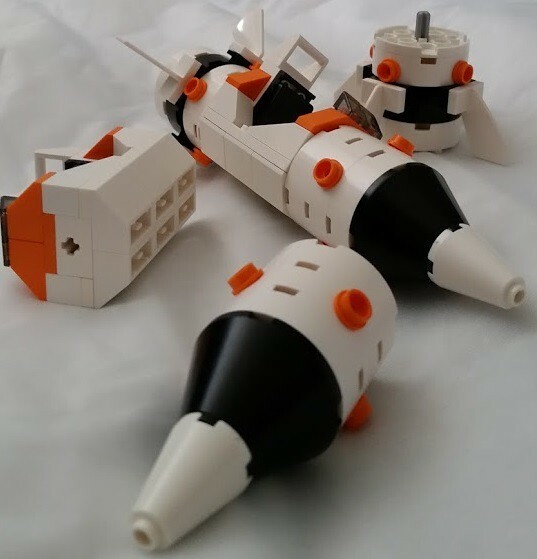 The rockets can be dissembled into the three component sections and are interchangeable with each other, and with about 15+ other rockets available in LDD form from the Lego Universe Wiki. 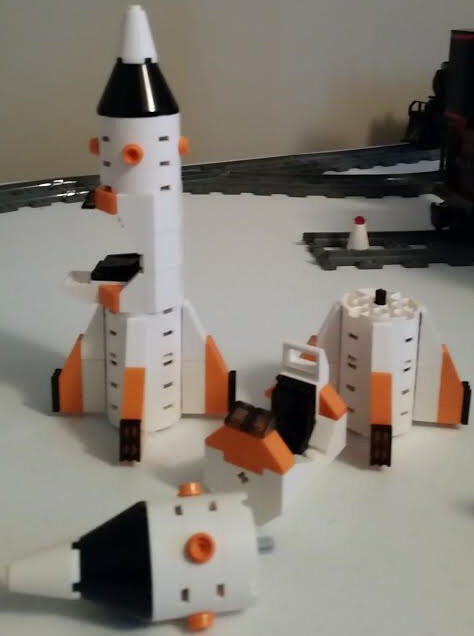 Also, the completed rockets can seat 1 mini-figure each. This small and nimble fighter was designed after looking at a Classic Space model I found on my hard-drive. (I think it was inspired by a model my brother bought off Brick-Link a couple years back.) Anyway, I then tore the model apart and have added four guns, larger wings, and the larger air intakes from my Nexus tower rocket. 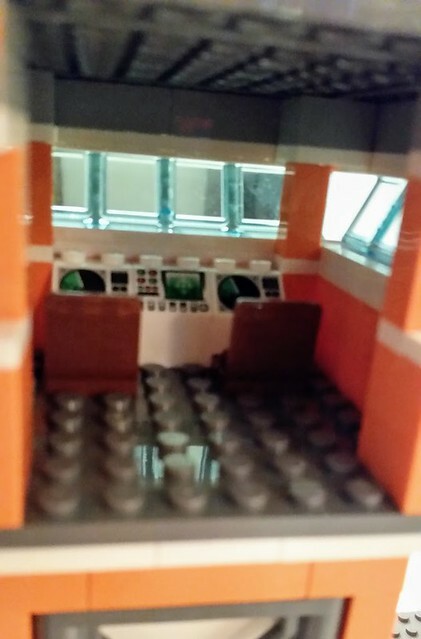 The ship features an enlarged cockpit with controls and seating for one figure. 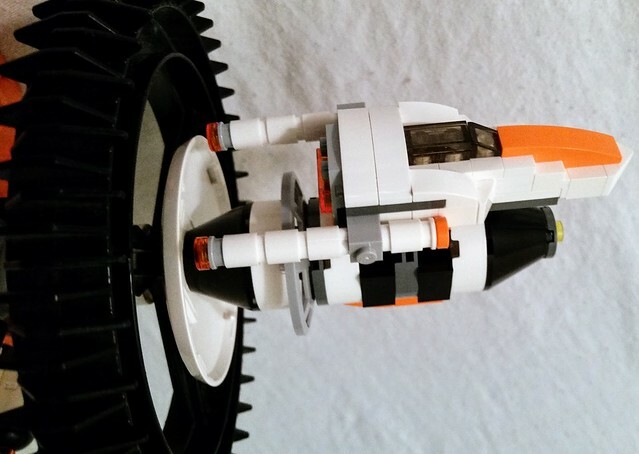 The rear of the model features one tail-fin and two engines exhaust ports. I added taillights and a license plate to the rear of the car. 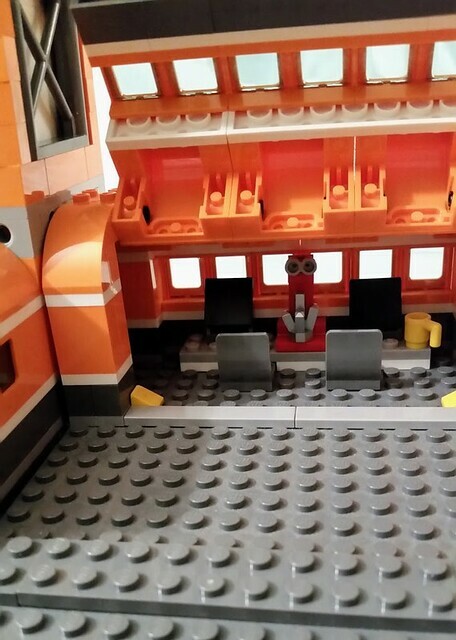 Their is only room for one mini-figure to be seated, but the space behind the driver's seat can hold some small cargo, such as a 2 x 2 x 2 (with tile lid) crate. 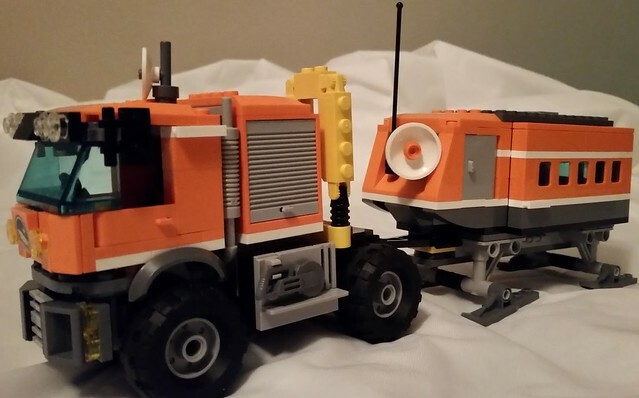 This model is a slightly modified version of set 60033, Arctic Ice Crawler that I call the Mobile Ice Driller . Whereas the original set has a crane hook, this one has a much more useful drill bit. 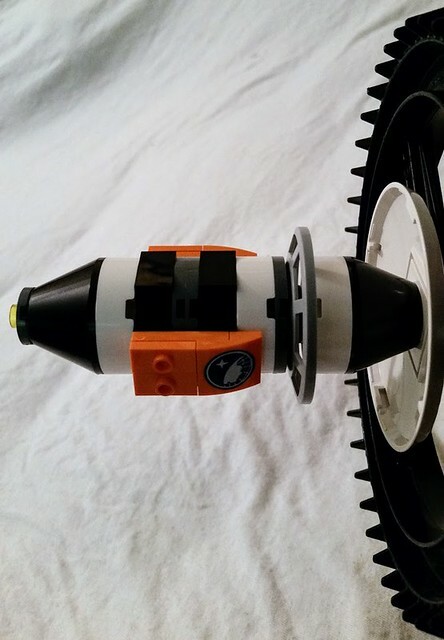 The drill is used for mining energy crystals embedded deep within the ice of the frozen world on which the Neo Nexus Force is stationed. 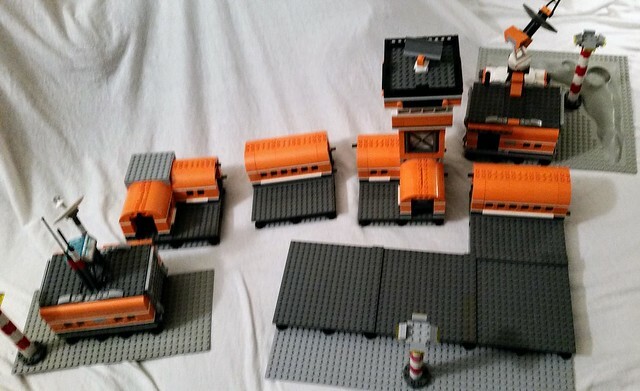 This is a very slightly modified version of set 60035: Arctic Outpost. All I really did to this one was add the symbol to the front fender. 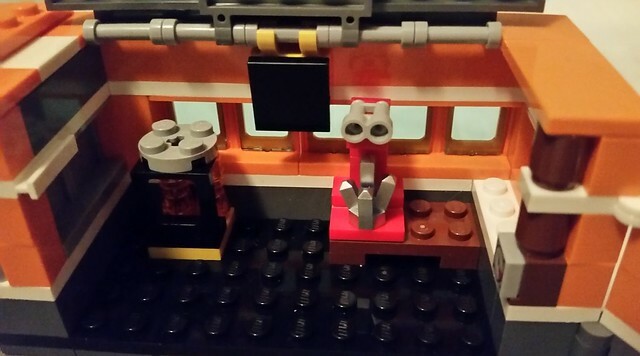 The inside of the mobile outpost is a lab, complete with Bunsen burner and microscope with crystal sample. It seems the computer hanging from the ceiling bar is off right now, as the scientist is out collecting more samples that were dug out with the Mobile Ice Drill. The rear of the model is pretty sparse in details, and as such, their isn't much to say about it. The snow speeder you see here is a simple vehicle to aid in fetching luggage and equipment across the base. 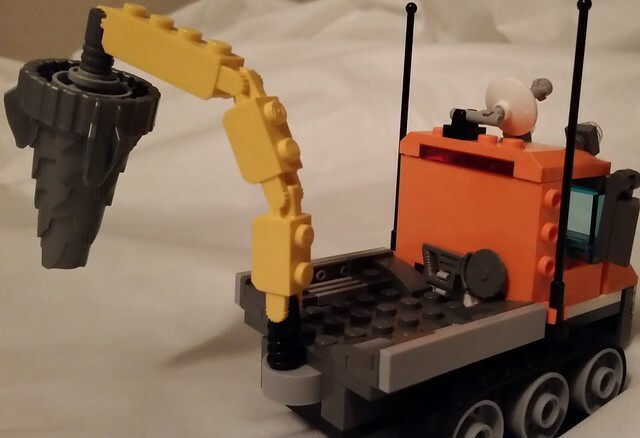 It is armed with a flare gun and a radio. These come in mighty handy when the sun sets and temperatures plummet to well below minus 125 Fahrenheit! 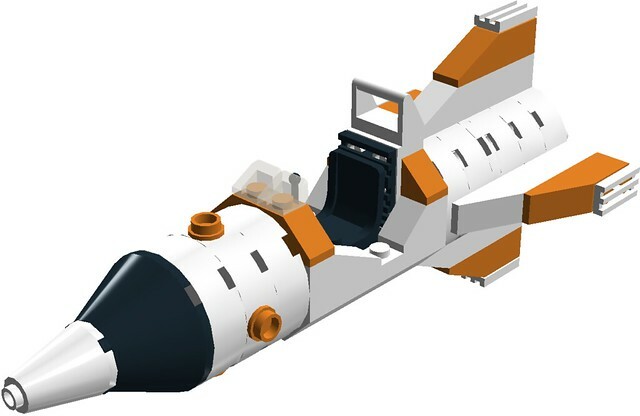 This space station (named Odyssey II) orbits the ice world of Beta Polaris, pointed at the direction of the trans-dimensional rip in space-time that leads to Lego Universe, ready to report any threat that may emerge from the space between spaces. Their are meeting rooms on one of the half of the two arms of the station, which provides the gravity for this section like a centrifuge. As such, this section is laid out so that the "ground" is towards the ends of the arms, with the center having lower gravity and the non-public front and back of the station have none and you can float weightless in. The other one of the arms features a large research facility, with many libraries and even a small university focused on the study of space, time and the many mysteries therein. The station also has "the wheel". 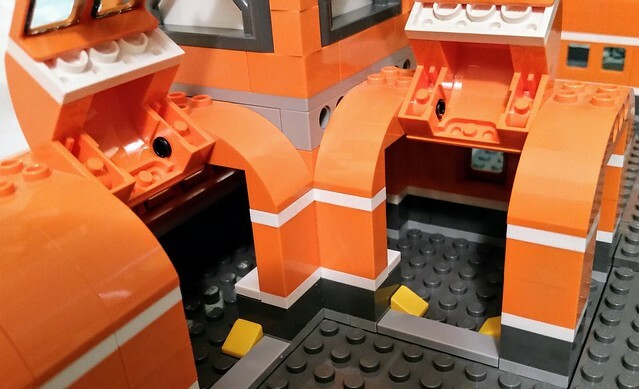 This module provides living quarters for all the university staff, visitors, and station crew, and gravity is provided by the "ground" being the outer wall of the arms. The engines on this station allow it to move if need be, though this has never happened on a large scale beyond course correction and maintaining balance in it's orbit of Beta Polaris. The solar panels on the station are actually detectors of chaos energy, which would mean the breach between Universes is open once more and the evil of the Maelstrom is coming through. This would mean the station would be evacuated of civilian personnel and the military forces bolstered, ready to attack the swirling mass of darkness. 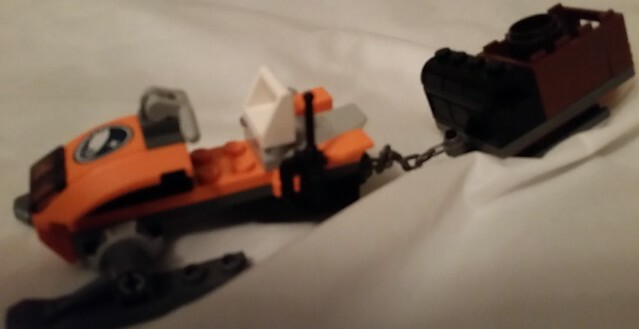 Here we see one of the Neo-Nexus Force ships (the cruiser Bright Hope) docked on on of the four "gravity locks". These allow for the ship to sync up with the station and crew / passengers to disembark the ship. EDITED 9/27/16: added real pics of the Robots, bob's car and updated digital screen shots of the fighters. The real pics of the space ships should be here by Sunday 10/2/16. EDITED 9/30/16: Added more real life pictures, this time of the space fighter-ships and the entire base as it sits now. EDITED 1/29/17: added new spaceship pics, and photos of Bob's car. EDITED 6/24/17: Added updated real life and digital pictures... new base pics coming as soon as the postman delivers the necessary parts! EDITED 7/1/17: Added real life pictures for update 4.0. Enjoy! Any thoughts / ideas / complaints would be appreciated! I loved LU! Great work on these models. Edit I rendered the bright hope for fun. Thank you for the awesome render! I loved LU so much I was the first on in my family to play it in October 2010, and the last to log out around 8:30 January 31, 2012. I even got to the Frostburg seasonal location and obtained a reindeer... I was the only one in my family to go there (I was the only one playing at that time! ), and I even got the toy train race car.... I just wish I had made more screenshots. It's the Nexus Force's resupply and repair encampment, Ice Station Destiny, with the Bright Hope on a landing pad and tow fighters ready for launch. Please see the updated first post for more information! 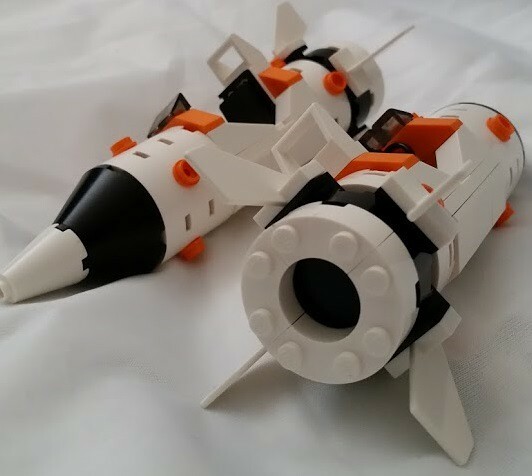 I've been thinking over my Nexus Force fleet, and decided to find a new fighter to replace my tiny official rocket. 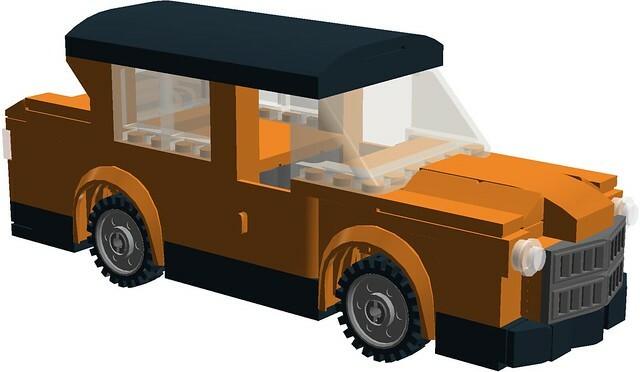 So I went model searching on Bricklink and stumbled upon the Ghost of LDD Versions Past. 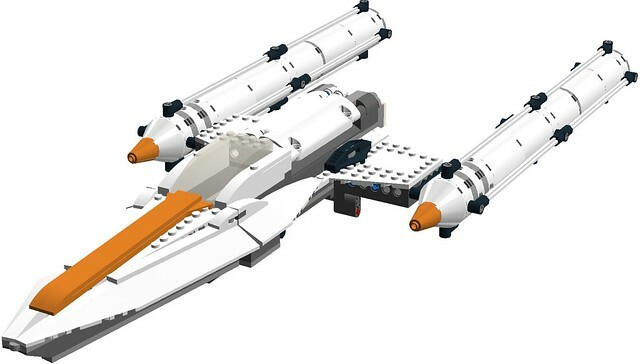 In case you are wonder what the heck I'm talking about, here's the answer: set 10191, Star Justice from 2008's Factory line (link: http://www.bricklink...m.asp?S=10191-1 ), was the original model that inspired this ship. More information and the LDD file has been added to the first post. Also, due to the Nexus Force logo not being found anywhere but a expensive mini-figure torso from a limited edition polybag, I have decided to change the logo to something different. 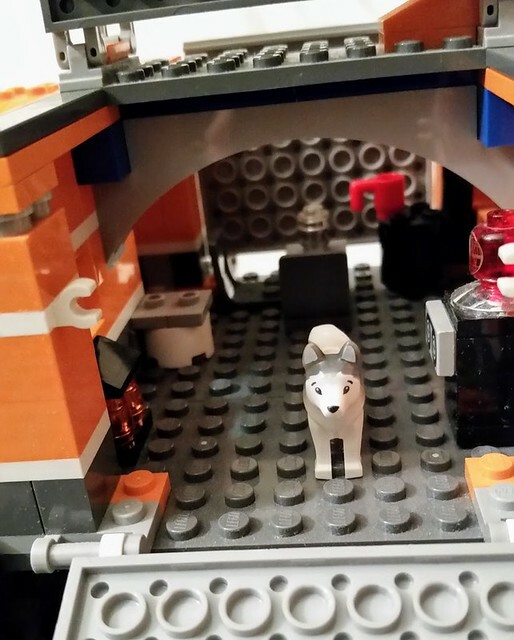 This new logo is seen in the 2014 CITY Arctic sets (photo from Bricklink). The Nexus force landed on an ice world named DY-17, (this was soon to be renamed Ice Station Destiny) in a bit of desperation, as the Maelstrom had damaged their escape cruiser, the Bright Hope, to the point of near hyper-drive core failure. The ships sensors located no technology on the surface, and not many life forms, but a lot of geothermal activity in the form of large heat/steam vents from the core to the surface, which could be used for emergency power. The ship landed, and soon the base camp for the crew of the Bright Hope was set up. It was then discovered the planet had many mineral deposits that happen to be compatible with the metal in the Hyper-drive cooling system. 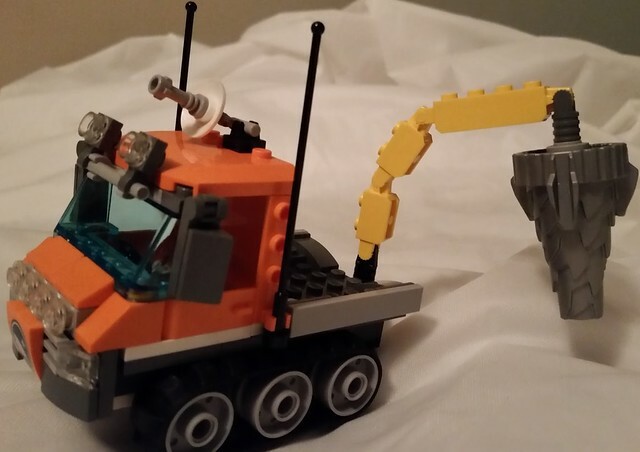 So, the minerals began to be mined, and pretty soon the crew had a good operation going that was almost self-sufficient and very eco-friendly. A vote was taken, and the crew chose to stay on the ice world they re-named Ice Station Destiny, as the planet had supplied all of their wants and needs. The logo was repainted to show the original Nexus logo as a distant star, signifying the journey taken by the Bright Hope to their new home world, which was symbolized by the ice-covered world on the logo. 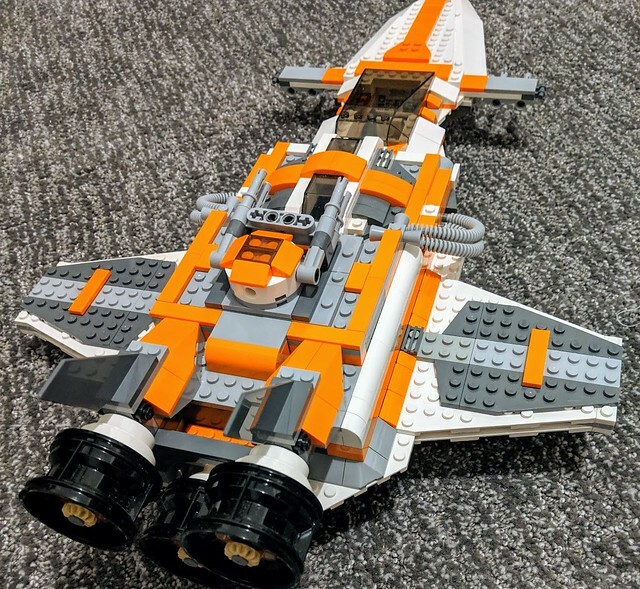 The Bright Hope and crew were eventually discovered two years after their landing on Ice Station Destiny by Benny-the-1980-something space guy and his Classic Space fleet. Benny formed a friendship with supreme Commander Bob of the Nexus Force and offered an Alliance between the two forces, and the rest is history. These will replace my original LU astronaut. Yeah, but I can only buy from the USA. Anyway, the ship should be finished soon, as the bulk of the Bright Hope is here but 43 crucial pieces are not. I will update this thread when it's finished. 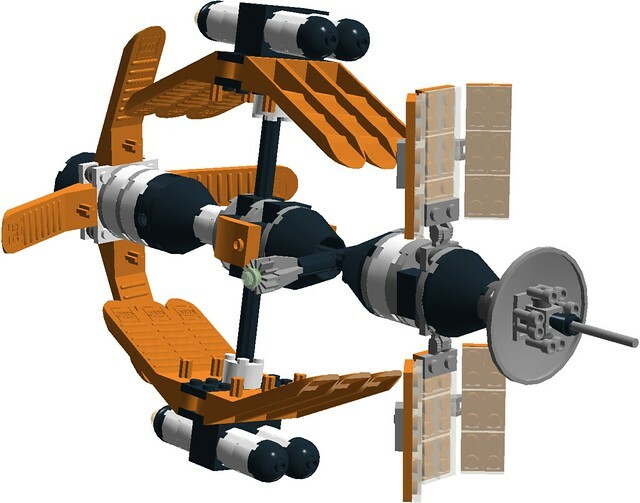 I have to note as well, the awesome Neo Nexus Force sister-ship built over on MOCpages: http://www.mocpages.com/moc.php/408646 It is the Shinning Star and was built by Scott Bourgeois, a good friend of mine and a prolific space builder. 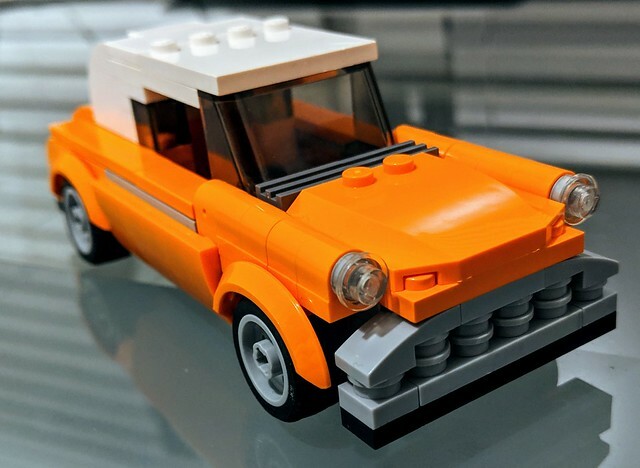 Since I revamped Benny the 1980-something space guy's car, I have been looking for a way to redo Bob's car. 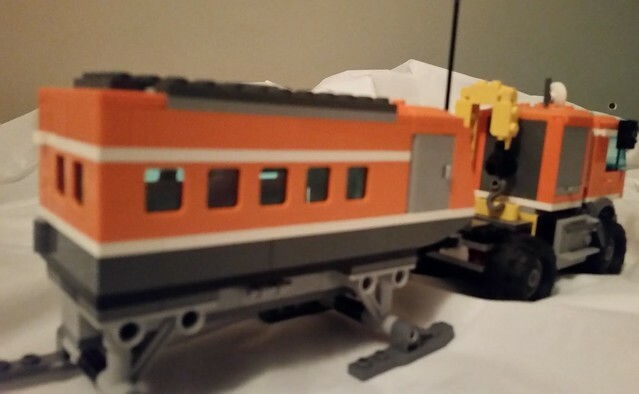 While searching for a way to make it look better, I remembered set 76004, (Spider Man: Spider Cycle chase) which provided inspiration to make the car bigger. 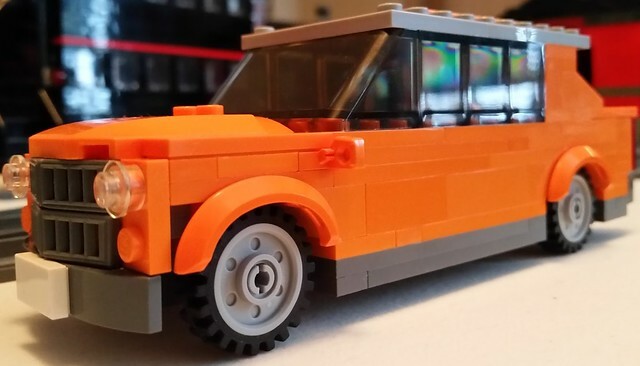 After several attempts, I finally got it to an acceptable level of perfection... except for the front grille. (something still looks slightly off there!) Also, Bob is included in the LDD file! The car also now has hover mode! I updated the first post. 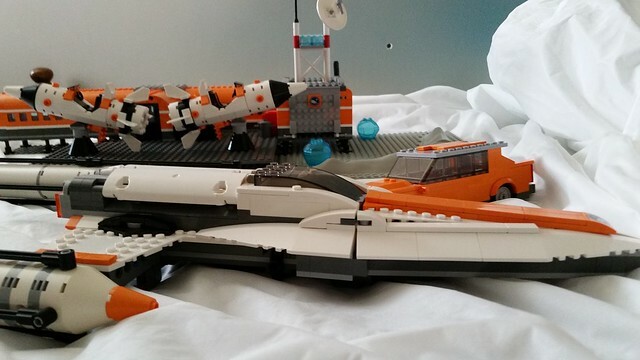 It now includes pictures of my completed Retro rockets and unfinished Ice Station Odyssey. You can see more pictures such as this in the first post! Added the personnel picture to the first post. Third row: Captain Cecelia Robinson, Major Tom (last name unknown), Sgt. Billy "Pepper" Shears, pilot Harry "Taxi" Chappin, Jethro "Aqualung" Tull. I love that people are keeping this game alive in their hearts. I think it was wonderful, and I dearly wish it had gone on longer. I got the official astronaut minifigure when I preordered the game, and then they started giving away the rocket instead for people who got it later. However, they also sold the rocket polybag in at least some of the stores, and I bought two on a trip to the Dallas / Fort Worth area in November of 2010; I now wish I'd gotten a few more. A bit later I saw them giving out the astronaut polybags with purchases of a certain size (that I wasn't able to make at the time, alas) at the Downtown Disney LEGO Store in Orlando. 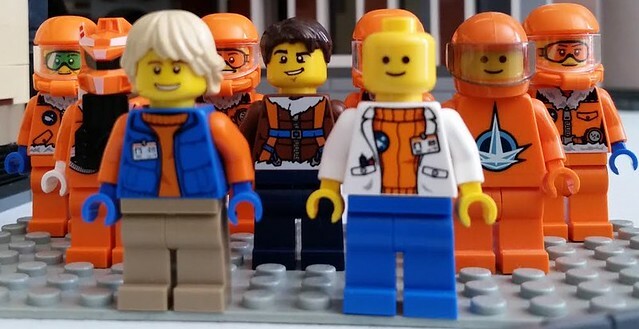 Though I wasn't able to get any more of them in the original polybags, though, they also had the astronaut elements in the Build-a-Minifigure kiosk, so I was able to get a couple more that way (though again, I wish I'd gotten a lot more). 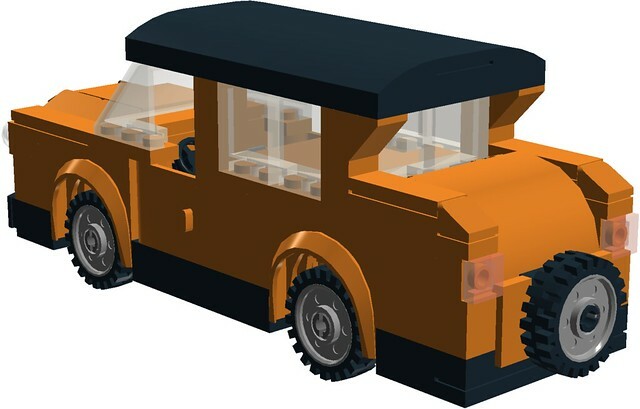 I couldn't wait any longer to post this: Bob's car is done, but the pieces for the updated Bright Hope haven't arrived yet. 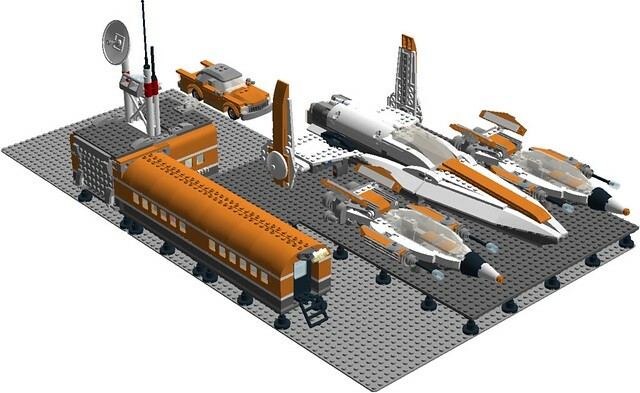 The updated engines for the Bright Hope should be here tomorrow, while the base's landing pad hasn't been ordered yet. Ice Station Odyssey has been added to the first post! update time! The latest vehicles and an updated base have been added to the first post, which itself has been completely restructured. If you want to see only the newest stuff, scroll right to where it says LAND VEHICLES as that is where the most recent models are located. 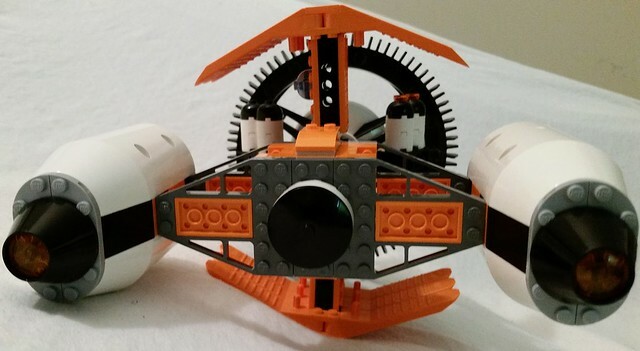 This model was made for use with my Neo-Nexus Force stuff, and as such the wings should have this logo printed on the 2 x 2 curved slopes: http://alpha.brickli...68pb004#T=C&C=4 I will be getting two of these next month. 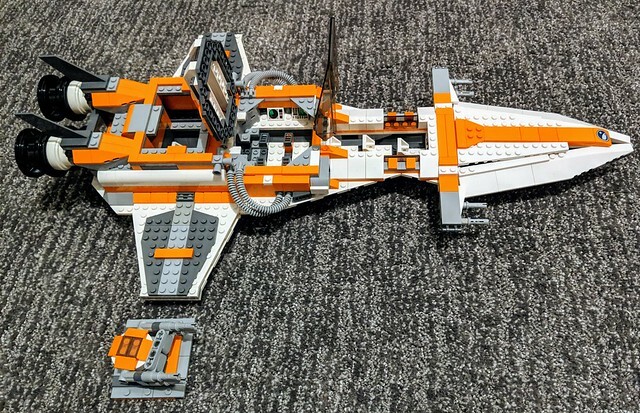 The LEGO snow speeder design from Episode V (The Empire Strikes Back) of Star Wars fame has been using the same design for over a decade (since 2003's set 4600, actually) and I think I may have created a new way of doing it. Yes, I removed the gunners seat / harpoon gun and added a astro-droid socket, but it's the same basic cockpit design and look is still present if it were 100% screen accurate.It shouldn't be that hard to remake the gunner's seat and remove the droid, if you wanted to. 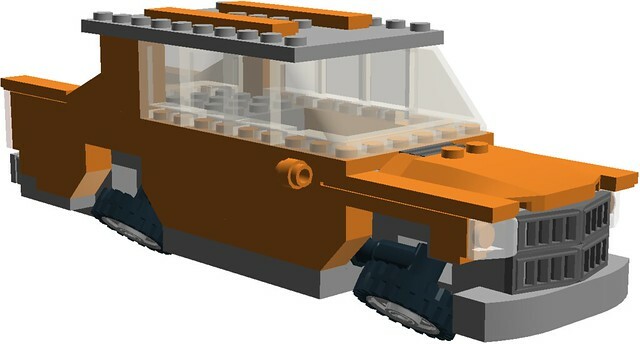 Anyway, the models features a newer cockpit canopy courtesy of the Speed Champions theme and a nose made out of part 6153b. The roof of the canopy comes off to place the figure inside at the controls. 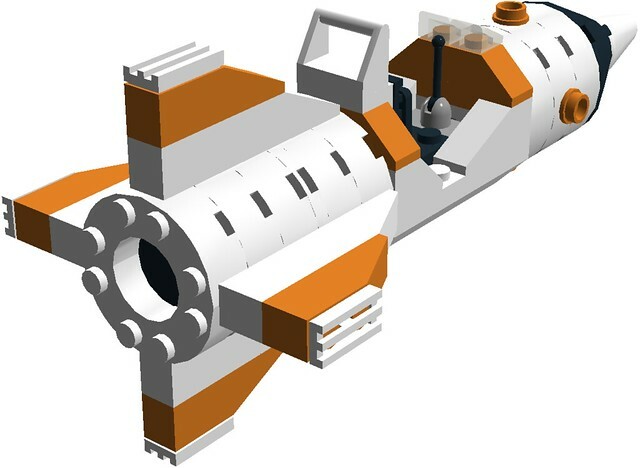 The ship features two engines and two laser cannons, plus a astro-droid fits where the gunner usually would go. Okay, so two pictures were released for the new LEGO Batman film sets coming in early 2017. The Joker's low-rider model caught my attention, and I started to recreate it in LDD. I couldn't see the back, so I improvised and made a quite large rear trunk instead of the spare tire. (The model was revamped yesterday to have a spare tire on the trunk.) 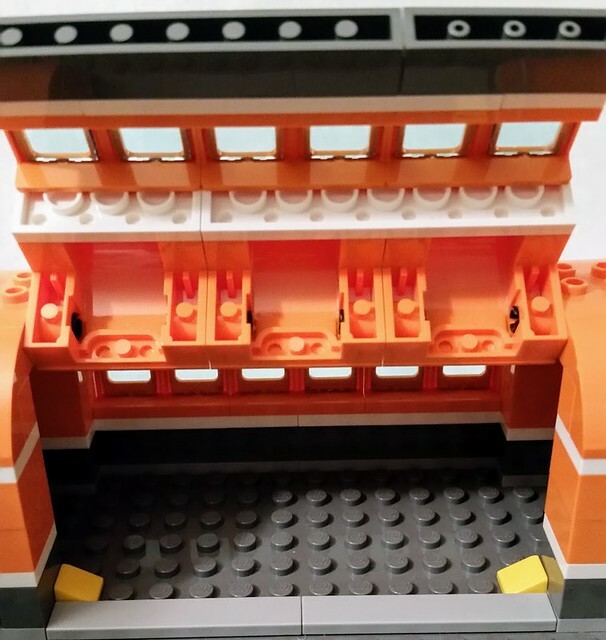 I eventually made it orange due to pieces I used only coming in that color. 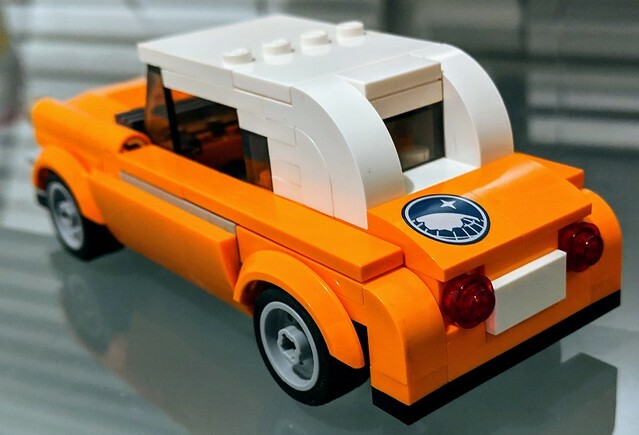 I then realized it would look really cool as Bob's car, as it already had the right color scheme and a spot for the logo on the hood. Thus, it officially became Bob's car. The rear of the car has the spare tire. Nice update. 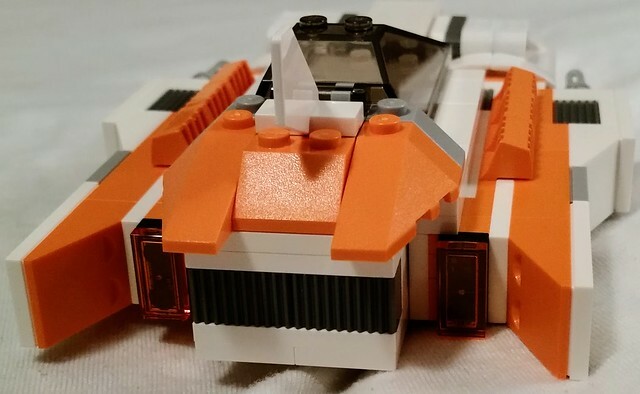 The repurposed Arctic vehicles fit really well with the rest of the theme. As a side note, have you ever considered printing your own stickers? Then, you could doctor up your new logo and have more flexibility on what shapes (i.e. windshields!) you could put the symbol on. The landing pads for the spaceships are newly expanded to handle larger vessels, plus light-poles have been added to aid in launching night missions. I will update the main post again when the base is once again complete.